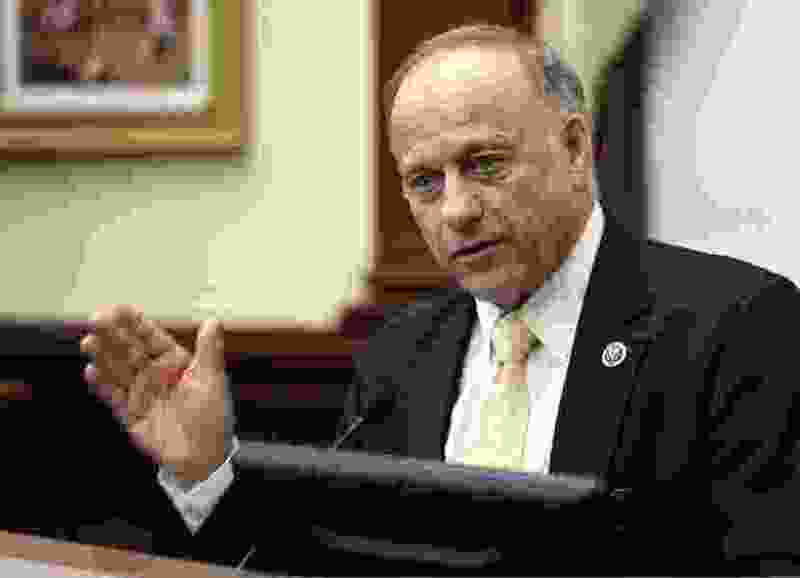 (Charlie Neibergall | Associated Press file photo) Rep. Steve King, R-Iowa, speaks in Des Moines in 2014. King has been blocked from committee assignments for the next two years after he lamented that white supremacy and white nationalism have become offensive terms. Washington • Veteran Republican Rep. Steve King will be blocked from committee assignments for the next two years after lamenting that white supremacy and white nationalism have become offensive terms. And members of his own party, including Sen. Mitt Romney and Rep. Chris Stewart, from Utah, are calling for him to resign. Romney, R-Utah, also condemned King, telling CNN Monday that King “doesn’t have a place in our party” or in Congress and should resign. “It’s not the first time that he has said things that the party just cringes at,” Stewart said. GOP @RepChrisStewart calls on his embattled GOP colleague Rep. Steve King to resign from Congress over his racist remarks.